You are here: Home / Kitty Wisdom / Vote for Me for Next Top Cat… and Vote for My Friends Too! Vote for Me for Next Top Cat… and Vote for My Friends Too! It’s voting time! 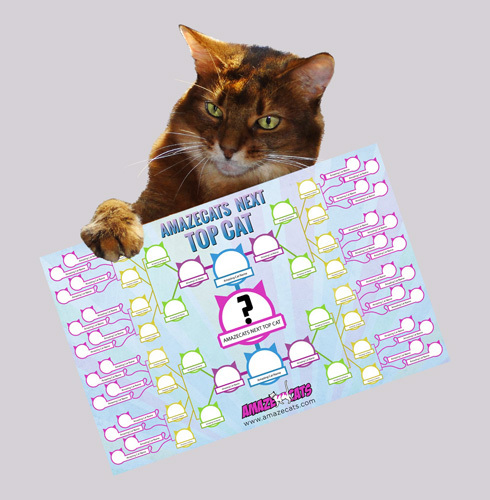 The nominees for AmazeCats Next Top Cat have been announced, and the 32 cats with the most votes by Friday, March 29 will get in the bracket and become part of the tournament! Vote for me here! You can vote every day until March 29! Here is the page where you can see all the nominees for AmazeCats Next Top Cat. Let’s show ’em what us blogging kitties are made of! thank you for letting us know that we can vote for more than one cat. we thought we can only vote for one. we voted for everybody on your list. and will be voting until the 29th. I have a tab open so I remember to vote every day! We finally got our vote button fixed – thanks for emailing about it!! 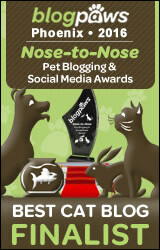 – and we’re voting for all our fave blogging kitties every day! You especially!! WOOT! We want all of us to make it as finalists! We went and voted fer Allie et al, and all our friends. Thanks fer getting the voting buttom workin for them. We bookmarked the page so we can vote easier each day! Evryone should do that. We’re voting for our friends everyday! 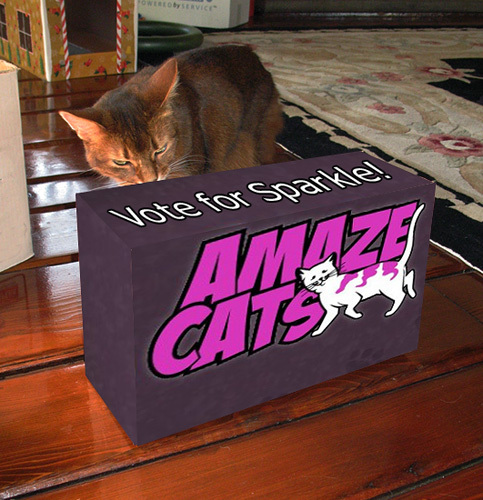 Sparkle, Me has been voting every day! And wes will keeps voting for yous! I voted but I got an error message on Allie & da boyz. Best of luck. Maybe someday I’ll be a Top Cat. You got my vote Sparkle! I’m trying to remember to vote for many furiends efurryday–I totally wish I had the thumbs in this house!!! You have my vote Sparkle! I love the fact that we can vote for all our friends at this stage! Good luck, Sparkle…and good luck to all our other buddies! Voted for you and your friends. I sent an email over to the AmazeCats humans last night about that – I hope they fix it soon! A couple of other cats had the same issue, I noticed. We had no idea you could vote every day! Wow! Thanks Sparkle and we have voted for you!!!!! We also suggested that they vote for other kitties as well and that was SUPER KIND of you to provide the links! you are very generous, Sparkle! We’re voting for you! Thanks for including our Odin. 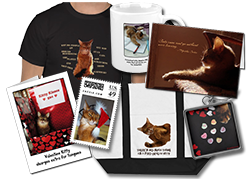 We don’t expect to win but have some fun & raise awareness for special needs kitties. There are a LOT of special needs kitties in the running, and I would be willing to lay wagers that one of them will eventually win Next Top Cat! Anakin, my marvelous two-legged pal, already has over 1300 votes! We voted. We like how you could vote for more than one because we hate having to make choices between good pals when everyone is deserving. We could vote for all our friends this way. WE voted. That is great that we can vote every day. Can you remind our old lady to do that.LOL. Thanks Sparkle. We put in our votes! We voted for you & Katie! Have a great weekend! We have voted for you Sparkle and Daisy too – we love you both. We voted for you, Dexter, and Daisy! Concats on making the cut to be a finalist!!! We just went over and voted for you (and some others too…). Hope you win ! of course I voted for you !